Building physics and services engineer Greengauge has delivered an ambitious M&E design for the new Goldsmith Street project, set to be the largest 100% Passivhaus, 100% social rented housing scheme in the UK. 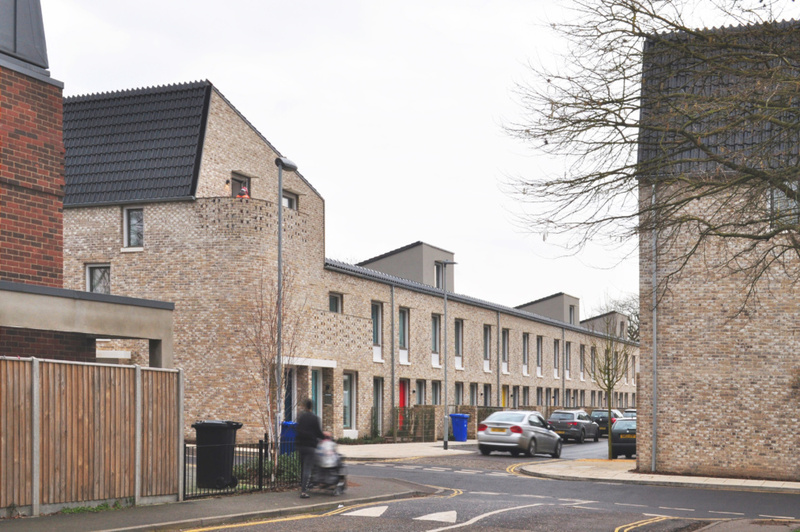 The development for Norwich City Council (NCC) is not yet finished, but has already won a Housing Design Award (2016) and the CPRE’s Green Build Award (2018). It may well scoop more prizes after its final handover later this year. However the ground-breaking scheme, situated on the edge of Norwich City Centre, could have been a very different project. 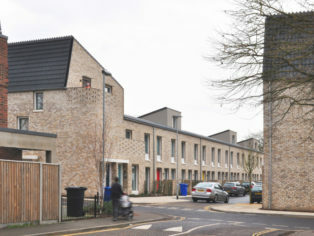 When Mikhail Riches Architects won the international RIBA competition in 2008, it was NCC’s intention to sell the site to a local housing provider. 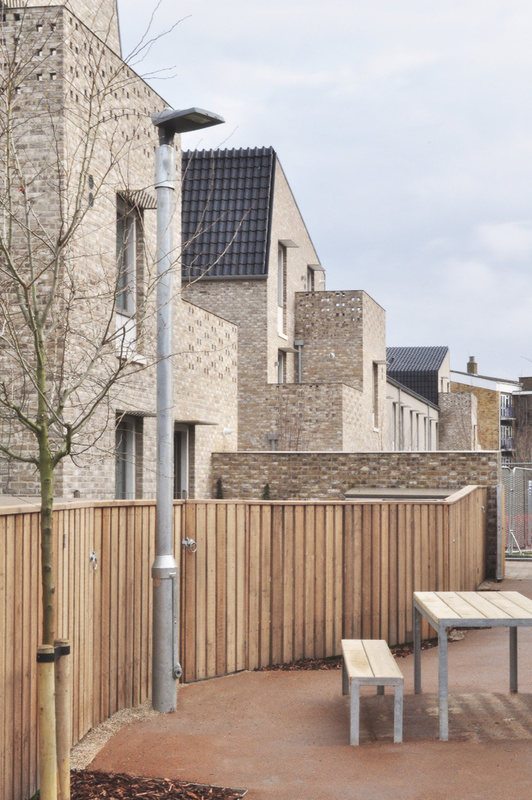 But a few years later when the project was revived after being put on hold, NCC decided they would like to develop the site themselves and that the housing should be Passivhaus certifiable. 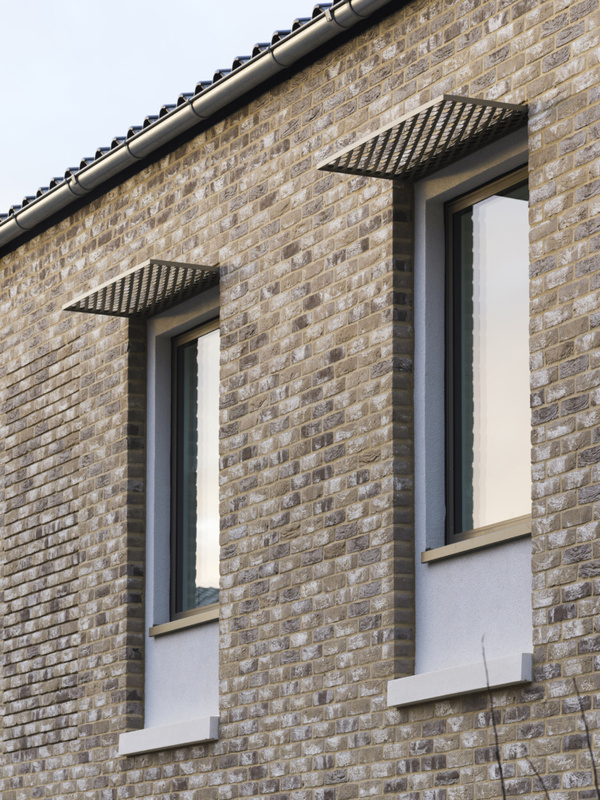 The Passivhaus standard enables average energy savings of 70% on annual heating bills, which is leading many local authorities to explore its potential for new schemes, NCC among them. 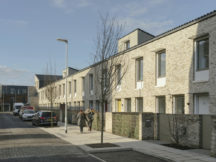 Comprising 105 Passivhaus dwellings for social rent, of which 40 are two-bed houses, five are four-bed houses and 60 are a mix of one and two bed flats, Goldsmith Street is not only the Council’s most ambitious project, it is also the biggest 100% Passivhaus, 100% social rented housing scheme in the country. Greengauge was appointed to lead the M&E design soon after the project was granted planning permission. The company had collaborated with Mikhail Riches before on a number of other schemes so there was already an established relationship. When Greengauge was commissioned, Goldsmith Street was the largest-scale project they had worked on, which presented some challenges. Greengauge designed the complete M&E package for the development, which included the hot and cold water systems, heating, ventilation and all the electrical systems, such as the power, data, lighting and fire detection. In an unusual move, Passivhaus specialist WARM had also been appointed to work in conjunction with Greengauge. The architects had modelled the whole Passivhaus scheme in 3D using ArchiCAD BIM software. Given that Greengauge uses the same software package while WARM works in 2D, Greengauge played a central role co-ordinating information and design input between Mikhail Riches and WARM. Greengauge added all the services in 3D and then had to interpret WARM’s key points using sketches and drawings. A key area of the Passivhaus design that Greengauge worked particularly hard on was the ventilation strategy and making this as simple and streamlined as possible. In Passivhaus projects airtightness is critical, which means that the ventilation design is also critical and requires an efficient and well-controlled ventilation system. 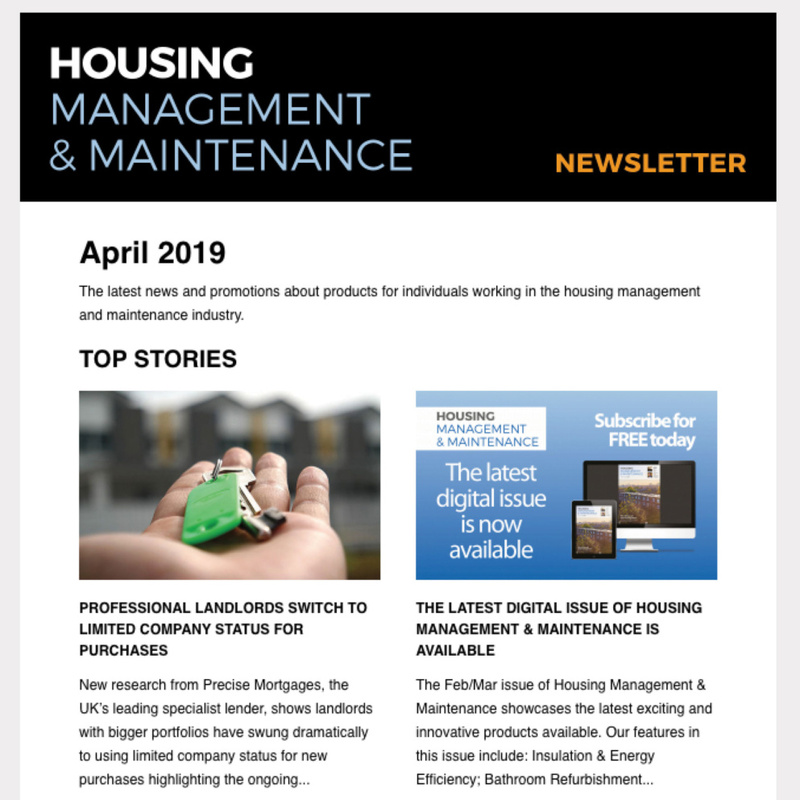 According to Jones, a concerning issue within the UK’s domestic sector is that mechanical ventilation with heat recovery units specified in Passivhaus developments are often not installed by registered ventilation engineers. This can result in an un-commissioned ventilation system that won’t extract and control the humidity and smells within a building, leading to poor levels of air quality. Greengauge focused on providing a well-commissioned ventilation system that complied with the Passivhaus requirements. Greengauge also used dynamic simulation software to ensure that during the warmer months the dwellings wouldn’t become uncomfortably hot. Over-heating is becoming a key issue in building design. “We completed some modelling to support the Passivhaus design. 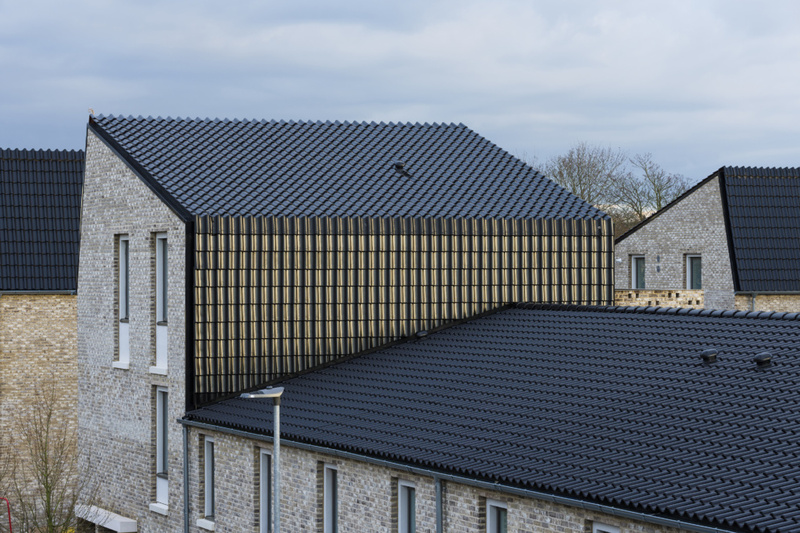 This showed that by sensibly opening windows and using shading, the occupants would be able to manage the internal temperature of their homes,” says Jones. 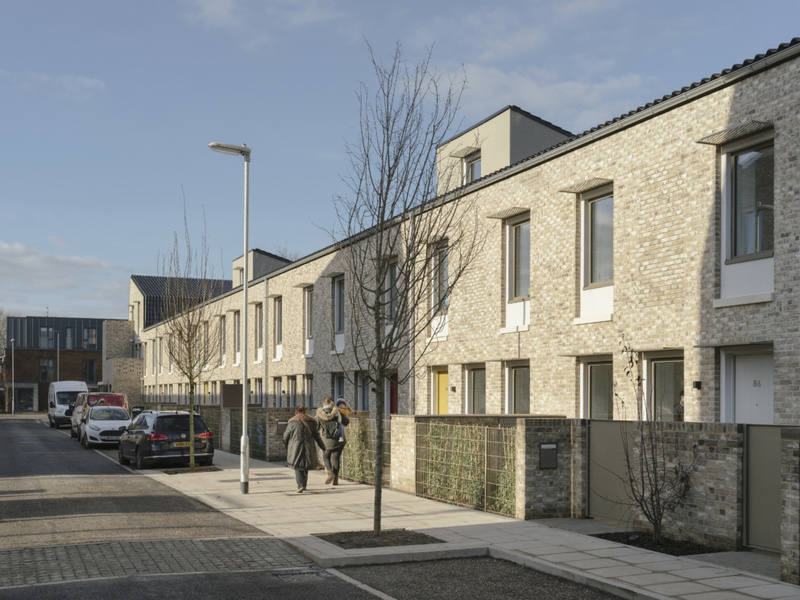 Apart from the challenge of making the buildings 100% Passivhaus certifiable, Greengauge and WARM had to be sure that the systems employed were accessible and maintainable by the Council. 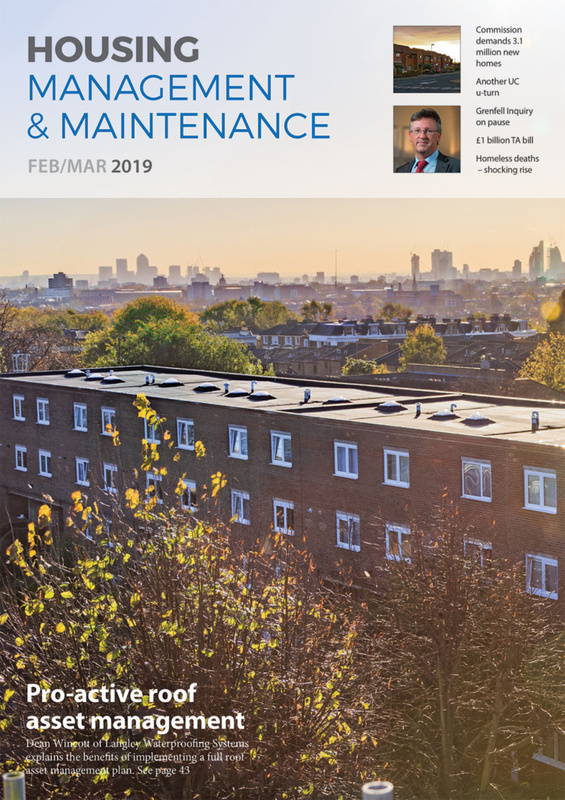 The team needed to deliver a project that integrated with NCC’s requirements that they had developed over the years, and to ensure the Council could readily adopt the new buildings with little issue. Architecturally, Mikhail Riches had very high ambitions for Goldsmith Street. 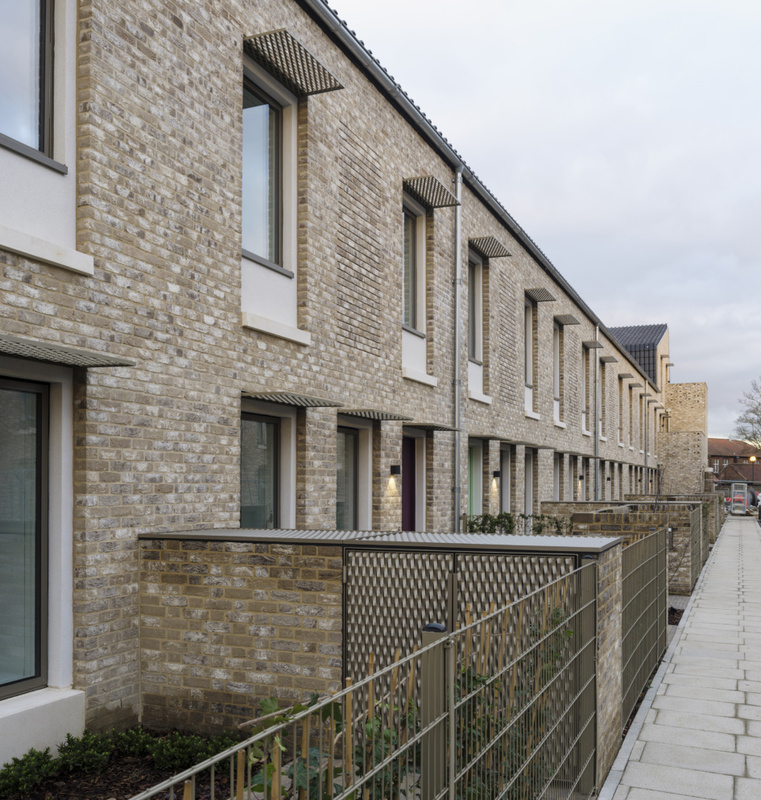 According to Turner, the design of the buildings took priority, and the architects wanted the Passivhaus to work to the design rather than the design being secondary to making the Passivhaus work. 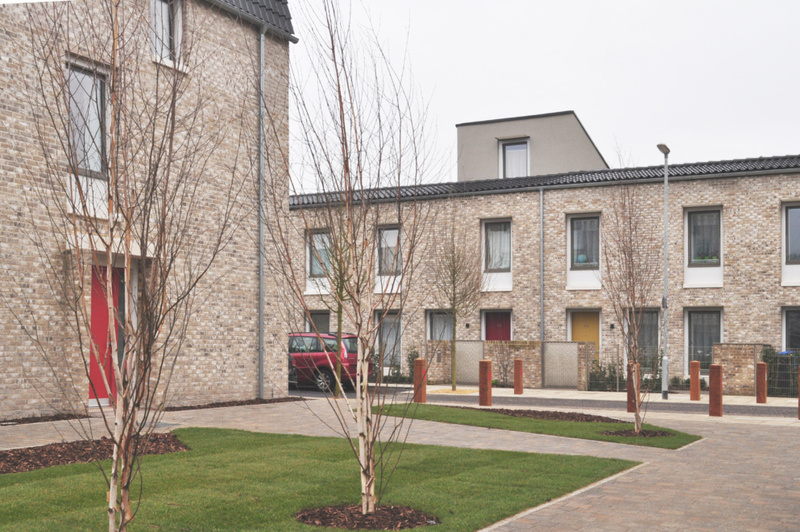 “I think that’s where a lot of Passivhaus schemes fail,” adds Turner. “The focus is often too much on making the project Passivhaus compliant and forgetting that there still needs to be good design. This is where we pushed the design hard to achieve both,” adds Turner. 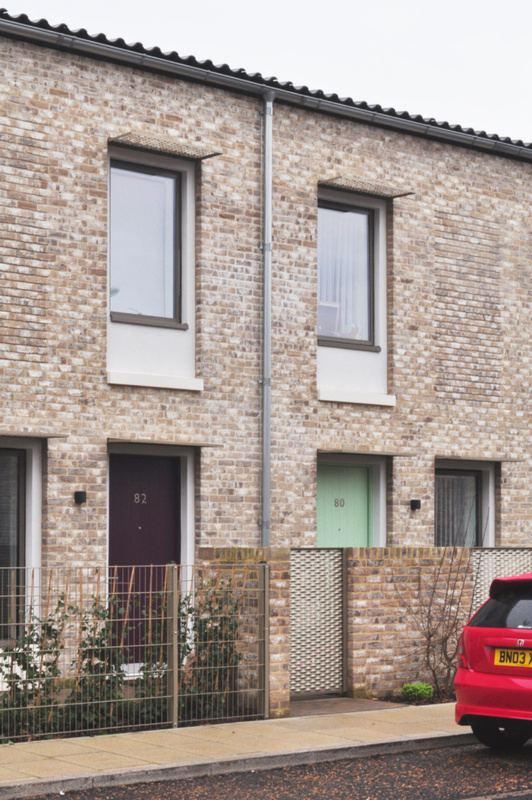 In addition to achieving Passivhaus, Mikhail Riches requested that Greengauge ensured that gas meter cupboards were concealed, gas pipework was hidden within the cavity of the brickwork, and boiler flues were not visible from the street. The team agree that the collaborative process on Goldsmith Street was successful and Jones says they are looking to work with WARM on other similar projects. Turner adds that a large part of the project’s success is to do with good co-ordination. An aspect that will be increasingly important given that he believes building regulations are likely to be increased to the equivalent of Passivhaus certification in the next ten years. 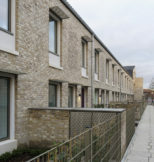 Andrew Turnbull, Norwich City Council’s senior development officer, said: “Goldsmith Street has been a huge project for the council and proudly stands apart from so many other developments because it’s a pretty rare example of new council homes being built in the UK and to such high energy-efficient standards.